FREE SHIPPING within 6100 and neighbouring suburbs. Fastway is our courier of choice throughout Australia. Have you ever wondered where your products come from, who is the face behind the gift? Were they paid a living wage, can they afford to send their children to School? Do they have adequate access to Health Services? 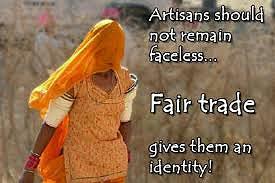 Fair Trade is an Internationally recognised philosophy and approach to changing lives through trade. Making Trade Fairer for all. We say NO to child labour and sweat-shops. Launched in 2007,u-chüs (pronounced U-choose) are a Perth based Retail and Wholesale Business who pride ourselves on providing a range of unique products from around 20 Non-Government Organisations Worldwide. As part of our company evolution we at u-chüs are broadening our access to include retail outlets around Australia requiring a wholesale range of Fair Trade Products to satisfy customer requirements. We believe that there are many of you out there who are increasing challenged when trying to source Ethical products. As such, we have easy terms of trade and offer a personalised service to all, let's see more Fair Trade Products out in the market place. The Public want a choice when buying gifts and we believe in making the process an easy one. Currently, u-chüs do not take part in any Trade Shows. This is a conscious choice on our part , we want to create a unique range and offer the opportunity to our loyal retail customers and stores that we believe have a passion for Fair Trade. Fair Trade organizations have a clear commitment to Fair Trade as the principal core of their mission. They, backed by consumers, are engaged actively in supporting producers, awareness raising and in campaigning for changes in the rules and practice of conventional international trade. Fair Trade is more than just trading: it proves that greater justice in world trade is possible. It highlights the need for change in the rules and practice of conventional trade and shows how a successful business can also put people first.